Just how big a deal they are, though, is debatable. Before CRISPR can transform our world, it’s gotta get out of court. There’s been a legal battle going on to determine which of the scientists whose research led to CRISPR’s discovery gets to own it (and collect money from licensing it). The U.S. Patent and Trademark Office (USPTO) just decided to grant not one, but two new CRISPR patents to UC Berkeley, home of biochemist Jennifer Doudna, who many consider the creator of CRISPR. A patent gives an inventor legal ownership of their unique invention or discovery. If anyone else wants to use that invention, they need to get the green light from the patent owner, and they usually have to pay for the privilege. And when you consider the tremendous potential of CRISPR, and the different fields in which it could be used, you begin to get an idea how valuable CRISPR patents can be. In 2012, Doudna and her colleagues set the CRISPR revolution in motion when they published the first paper on the enzyme in Science. But in 2017, the USPTO granted Feng Zhang and his team from Broad Institute of Harvard and MIT the coveted patent for using CRISPR-Cas9 to edit DNA in mammals. Doudna’s team is appealing that decision, but faces an uphill battle. While the CRISPR-Cas9 patent currently owned by the Broad team is arguably the most valuable, not the only CRISPR patent out there. As of April, the USPTO had already issued 60 CRISPR-related patents to inventors at 18 different organizations, each different enough for the USPTO to consider it a unique invention. On Tuesday, the office granted UC Berkeley its first CRISPR-related patent, which the university applied for in 2014. This one focuses on using CRISPR-Cas9 to edit single-stranded RNA (and not DNA). The USPTO will reportedly grant UC Berkeley the other patent, which the university applied for in 2015, next week, according to a STAT News report. That patent centers on using the standard CRISPR-Cas9 system to edit regions specifically 10 to 15 base pairs long. 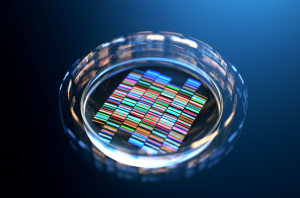 UC Berkley sees a number of potential applications in research, diagnostics, and industry for their new CRISPR patent. But the rest of the scientific community sees it differently. A spokesman for the Broad told STAT the issued patent’s claims “are extremely narrow and would have little or no effect on the CRISPR field.” Another expert, New York Law School associate professor Jacob Sherkow, said he expected the second patent to have “pretty minimal” commercial value. Ouch. Is there a CRISPR technique UC Berkeley can use to heal burns? No matter how important these specific patents are, the sheer number of granted patents is a testament to the amount of research dedicated to CRISPR. With each new discovery, we get one step closer to that imagined future free of disease, hunger, and possibly even aging.